Saturday evening Bucharest was about as gloomy and depressing as it gets, with a thickly overcast sky and a light but monotonous and cold autumn rain. So there couldn’t really be a better time for a metal show in which the headliners were described as “suicidal black doom”. Add other descriptions to the mix, such as “depressive black” and “gothic horror”, and you get a pretty clear picture of what Labyrinthic Metal Evening, organized by DonisArt, had to offer. So hell yeah, I say, bring it on! Almost 200 miles and almost heading to the wrong venue* I’d made it to the LG Arena. This was to be my first time seeing KISS and as a pretty new member of the KISS army I had no idea what to expect. 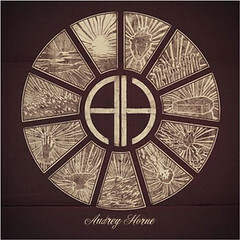 Audrey Horne are a hard rock/post grunge band from Bergen, Norway featuring members from Enslaved, Sahg and Deride. Having been a fan of Audrey Horne’s previous two albums I’ve been looking forward to this since I first heard about it in late 2009. My high expectations initially lead to disappointment when on the first listen the album failed to really keep my interest at all. However after playing it a few more times it has become one of my favorite albums of the year so far. Opening with ” These Vultures”, a slow track with eerie chanting vocals the album then flows into two reasonably similar paced tracks, “Charon”, a track named after the mythological Greek ferryman of Hades and “Circus” a track with some really interesting riffs and a slight feel of organized chaos. One thing that seems apparent after listening to just the first three tracks is that the instruments are very dominant, usually I’m one who pays a fair bit of attention to lyrics but here I found myself being immersed in the entire songs.